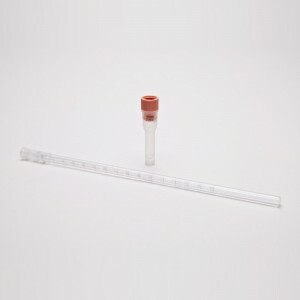 Polymedco Sediplast With Diluent CS1000 S-1000 is one of the many quality laboratory and scientific products we have to offer at very competitive pricing. Polymedco Sediplast With Diluent CS1000 S-1000 / 95038-094 is part of a wide selection of Polymedco Hematology test kits or supplies. Combining excellent quality with an affordable price, the Polymedco Sediplast With Diluent CS1000 S-1000 / 95038-094 can meet your scientific research needs while still offering a good value for a budget conscious end user. If you have any questions about any of our Hematology test kits or supplies please do not hesitate to contact our customer service for further guidance. The Sedimat 15 analyzer is designed to provide fast and accurate ESR test results in clinical laboratories, hospitals, clinics, and physician offices. This economical, user-friendly instrument reduces patient waiting time and leads to rapid and improved patient therapy. The analyzer provides ESR test results in 15 minutes, and can analyze one to eight specimens simultaneously or randomly. The instrument allows specimen loading and removal while maintaining testing procedures that are underway. A total of 32 samples may be processed on an hourly basis. The analyzer automatically checks for proper sample preparation, initiates a timer, and emits an audible signal when tests are completed. Results are displayed on an LCD and filed into the system's memory. A printer is available separately for hard copy results, and the instrument can be interfaced with most laboratory computer systems. ESR controls are whole blood reference materials designed to monitor ESR procedures. Controls help to monitor technique as well as environmental, physical, and mechanical factors such as room temperature, and tube position, vibration, or instrument problems.